By combining the tonal pallet of his BE and HBE circuits, as well as the sparkling cleans of the Buxom Betty in his all-new BE-50 Deluxe amplifier head, Dave Friedman is unleashing his most flexible design yet. 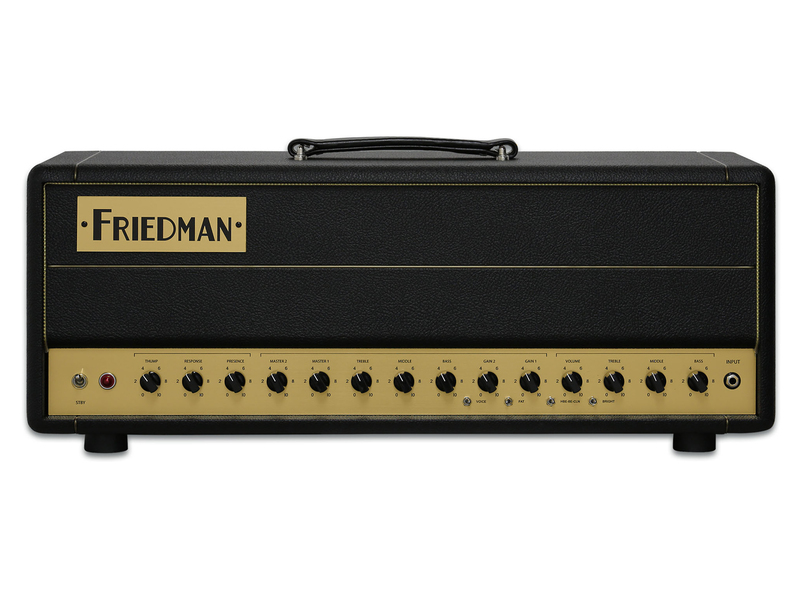 And thanks to a handful of Friedman’s most requested mods, this 3-channel head is chock full of tone-shaping possibilities and power. 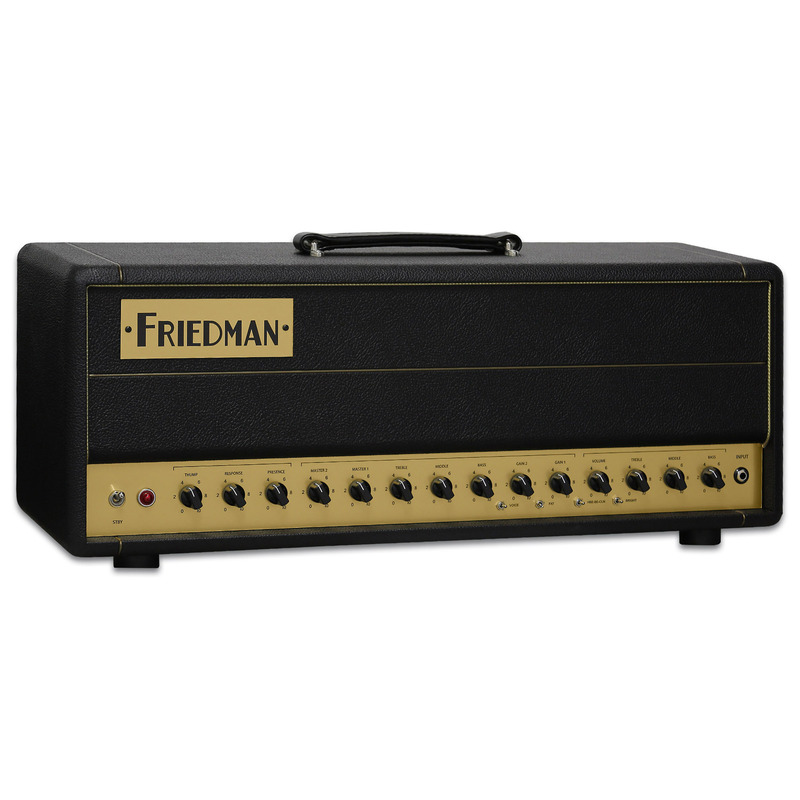 Housed in the BE-50 Deluxe, Friedman’s BE and HBE drive channels are industry standards for high-gain crunch, clarity, and nuance. 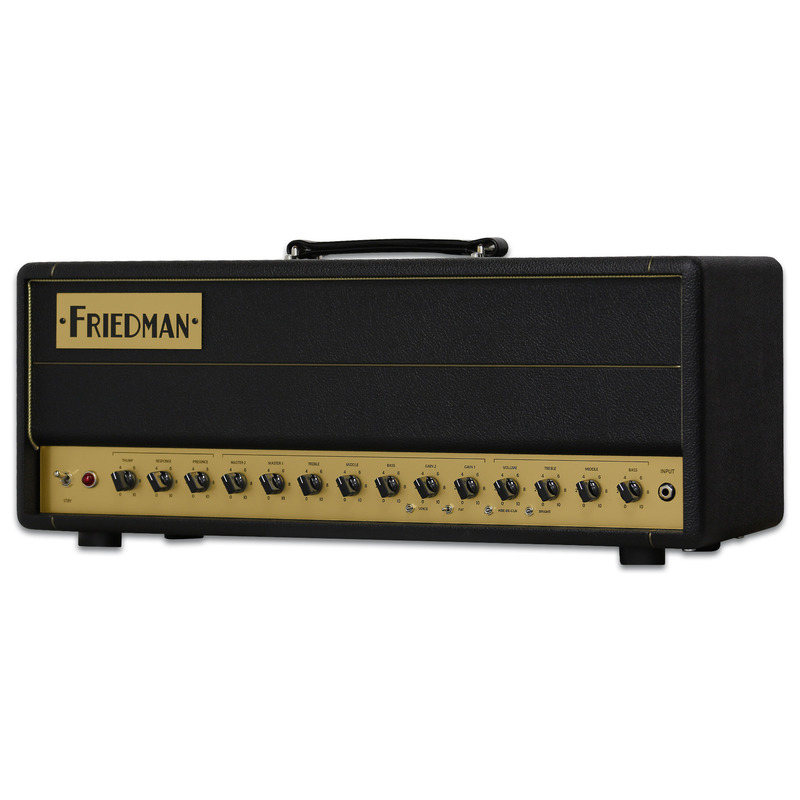 And with independent volume and gain controls, as well as some of Friedman’s most popular amp modifications, you’ll be switching between these worlds of grit, on the fly. 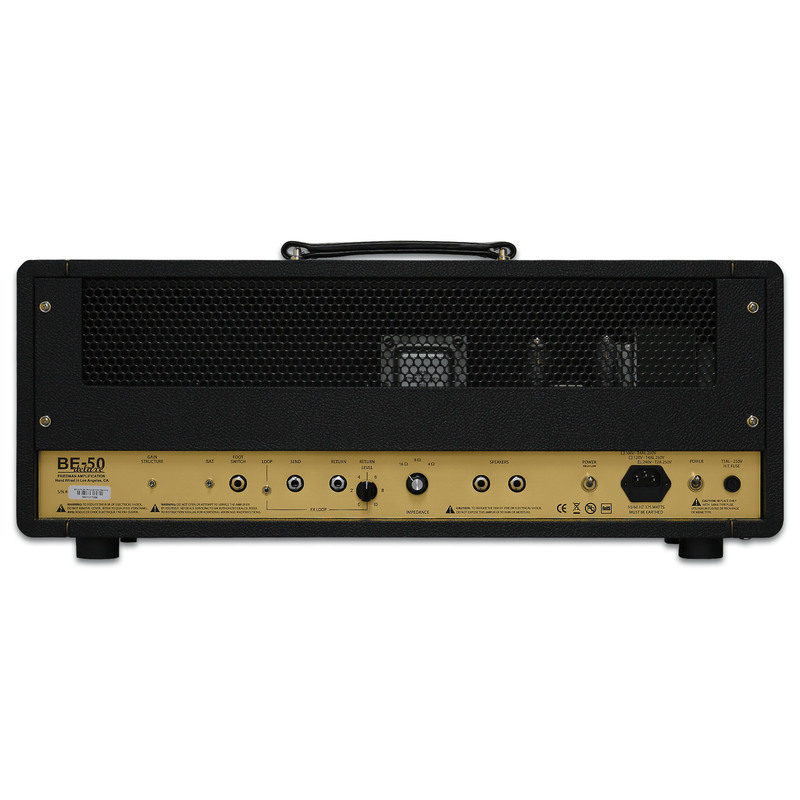 Thanks to an astoundingly flexible power section, the BE-50 Deluxe will be your go-to amp on any gig. From the front panel, you’re able to tune the amp’s overall character with a trio of variable controls. 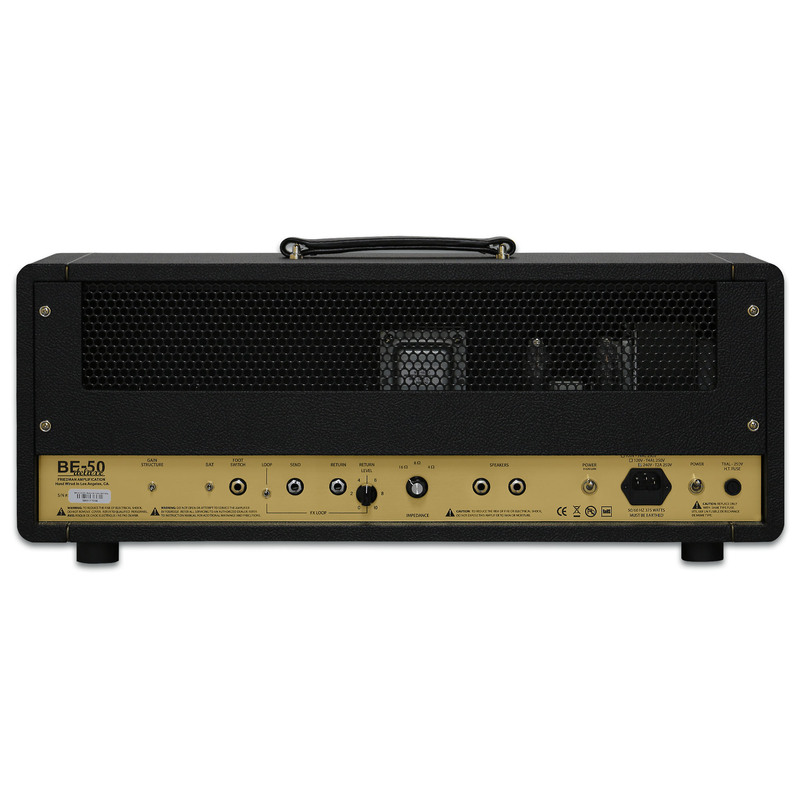 Turn the amp around and you’ll find a half-power switch as well as the most transparent effects loop in the business.